This article was commissioned by the Hub Oaxaca in an effort to help inform participants of the Impact Hub Gathering and was written with a focus on Oaxaca. Although I have heard the questions about safety in Mexico a thousand times, I understand why, the news all over the world coming out of Mexico is pretty grim. I have always been careful with my response to questions about Mexico’s safety and have until now, shied away from writing about it, because I have a responsibility to my readers to tell it how it is and because I don’t want to minimize what is happening here. I have read so many articles claiming such things as “the only danger here is that you might not want to leave” or “you might get hit by a falling coconut” and I don’t want to insult my reader’s intelligence with such claims. The thing I have realised, however is that despite the complexity of the situation and the fact that Mexico is dealing with some serious violence, in my day to day life I feel safer (not to mention, happier) here than I often felt in my home city of London. Let’s look back. I first visited Mexico in 2005. 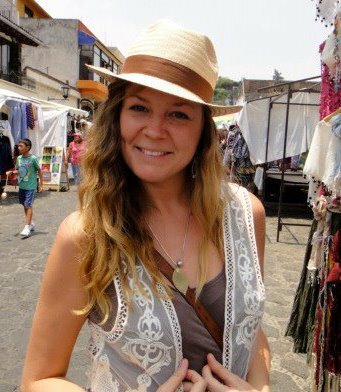 Whilst in a hostel Los Angeles, planning my trip to Mexico, I was told by numerous people that I shouldn’t go alone to Mexico, that it was far too dangerous. Thankfully for me, I had youth and stubbornness on my side and I ignored them, flew down to Mexico and felt an immediate sense of being home and being safe, something that I was far from feeling at the shady hostel in L.A. I traveled throughout the country for five months and not one bad thing befell me (apart from having my camera stolen at a bar). I arrived home to London and was caught up in the London Underground bombings. Thankfully I was not physically hurt, but I guess what I am saying is, things are relative. Bad things happen everywhere, even in your hometown. The thing with drug–related violence is that generally if you are not caught up in that world it doesn’t affect you and this is even more the case if you are just visiting Mexico for a week or two. There’s drug and gang related violence in London (albeit on a smaller scale) but I could go my whole life without being affected by it because I am not in that world. Of course there are knock-on effects, but your average tourists are not going to even notice them. Additionally, where you visit in Mexico is important. Mexico is huge! The common argument therefore, is that if a mass shooting happened in Detroit, Michigan would that stop you from going to Santa Cruz, California? Probably not, right? So similarly there is no reason that violence happening in Mexico/US border towns (and a few other states) should stop you from coming to Oaxaca in the South of the country. I must also mention here that I have readers who live in the border towns that feel extremely safe too, but that is not within my frame of expertise to comment. 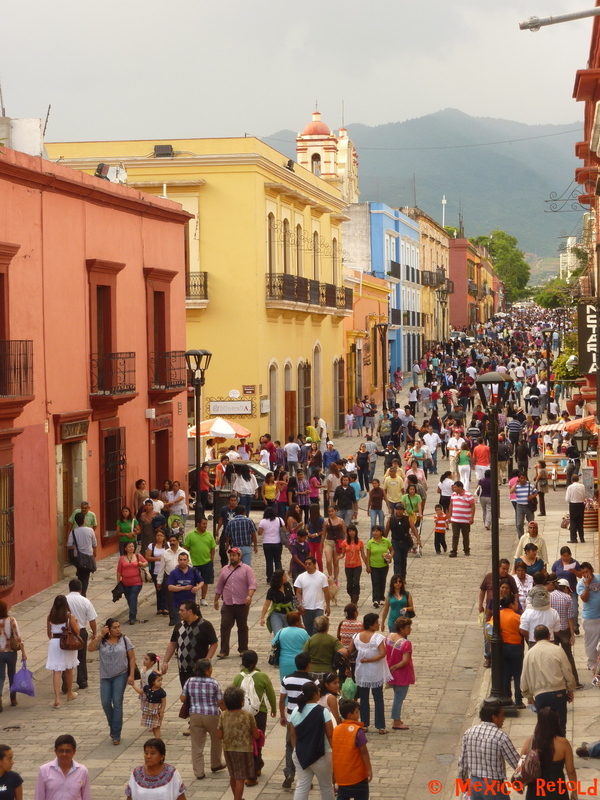 Oaxaca is a small city, surrounded by mountains, full of cobbled streets and colonial architecture. It has a bustling art scene and amazingly interesting and exciting civil society and a large indigenous population. It is a fascinating and inspiring place to live and my goodness the skies (day and night) are something to behold. As I write, I am sitting in a coffee shop, listening to blues and sipping on a cappuccino. Sure, I wouldn’t walk home alone at night after eleven and I wouldn’t head to the big bustling market in the south of the city with tons of valuables on me, but I wouldn’t do that in London either. I moved here on my own three years ago and I still love it and so do all the tourists who flock here! Although I don’t really trust statistics telling me about safety and crime rates (there are too many variables and I prefer to get a local opinion) it is interesting to note that only 1% of crime in Mexico is crime against tourists and on top of that last year’s air-arrivals (read: tourists who arrive by plane) was up by 7.2% compared to a global average of 5.2%. If you are a fan of statistics, here are some more relating to safety and violence in Mexico from a whole website dedicated to the topic. I’m also not a huge fan of the U.S State Department Advisory warnings, but if you imagine that their job is to look for even the smallest possibility that somewhere may be unsafe, then knowing that they have no advisory in effect against travelling to Oaxaca, should put minds at ease. Additionally, one third of all Mexico’s states have no advisory warning in place. Following my earlier comment about getting local advice on the safety of a place, I looked for quotes from other writers about Mexico and I asked my followers of Facebook and Twitter to let me know what they thought about safety here. I was inundated with positive comments and here are just a few, so you don’t just need to take my word for it! Lastly, I would like to quote one of my favourite authors, Chimamanda Adichie, who said “When we reject a single story, when we realise there is never a single story about a place, we regain a kind of paradise!” Mexico is not just the drugs war, nor just the white sandy beaches and cocktails, there is no one single story that can be told about Mexico. Thanks for your response. I have shied away from writing it but I hope I gave an honest an balanced account of life here. Reblogged this on México: Live it, Love it. Thinking about motorhoming around sea of Cortez and thinking of going further south. Any thoughts? Hi Kurt, Thanks for getting in touch. Although I haven’t driver those roads myself I have heard of many who have without any problems. Most stories I hear are of people coming back year after year to travel Mexico because they love it so much. Have you come across a group on Facebook called On the Road in Mexico? The members of that group could give you much more detailed advice on the best routes etc. Enjoy! Reblogged this on the adventures of dos tortas. Thank you so much for reblogging my post! It means a lot! I don’t think I could have said this better myself. Thanks you so much! That is the ultimate compliment! Great article! You treat a delicate subject well–balanced and informative. Thank you for dispelling the myths. p.s your photo is great too! Thanks so much Laurie. I just wanted to ensure I did the subject justice and so it is lovely to hear from people who have also lived hear for a long time and who enjoyed the article. Thank you, thank you, your comments mean a lot to me! We are a family of 3 doing a motorcycle trip from Alaska to Argentina, each on our own bike, so far we feel pretty safe and absolutely love Mexico! We were told all the stories too before we crossed the border but so far the reality is that Mexicans in general are lovely people. Yes there are problems, but aren’t there problems everywhere? Melbourne can hardly be called safe at night everywhere, nor can Vancouver. We keep a blog at earth-roamers.blogspot.com where we’ve posted our experiences. WOW! What an amazing trip you guys are doing! I will definitely be following it on your site. Thanks for stopping by to leave a comment! Great article! Thanks for all the town names–we are a vagabond family, and this piece makes me want to go there tomorrow! Nice well-balanced article. I too have friends and family concerned about safety issues. Reality is, as anywhere, if you don’t act like a victim you are not likely to be one. Be confident, alert, and aware of your surroundings and you will likely avoid trouble. Do something stupid, like flashing a wad of money or walking a dark, lonely callejon late at night, and you are asking for trouble. You would be doing the same anywhere though. Thanks for the comment. 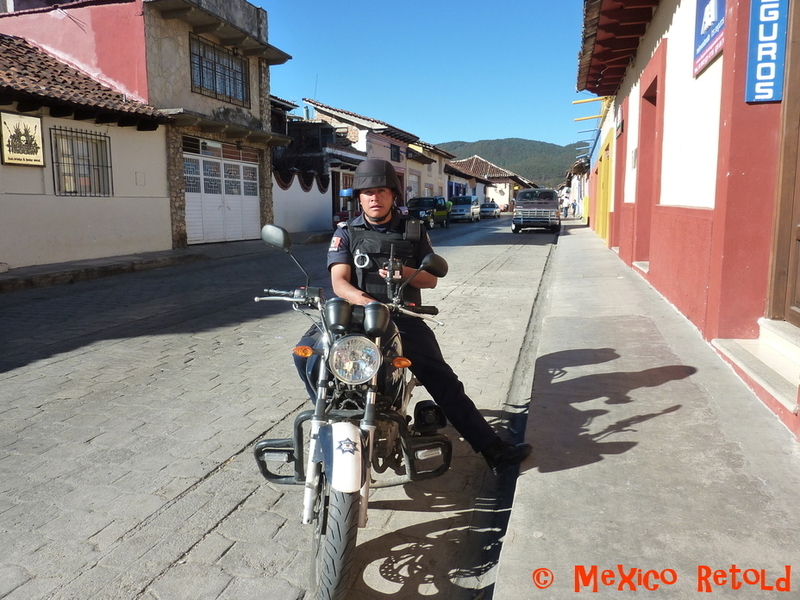 I think it is important to remember that there are complex issues in Mexico, but as a tourist you are very unlikely to even notice. You are right as well that being aware of your surroundings is very important. Thanks again and happy travels. I just for driving a newer model car in Sonora got soped by the militares and was treated as a criminal and my car turn inside out and then left it as such and told me now ypu can go. Thanks for your comment. I actually go back and forth to Mexico City all the time and take the bus. I have never had any problems. You can also fly really cheaply too if he is concerned 😉 Give me a shout when you are here.